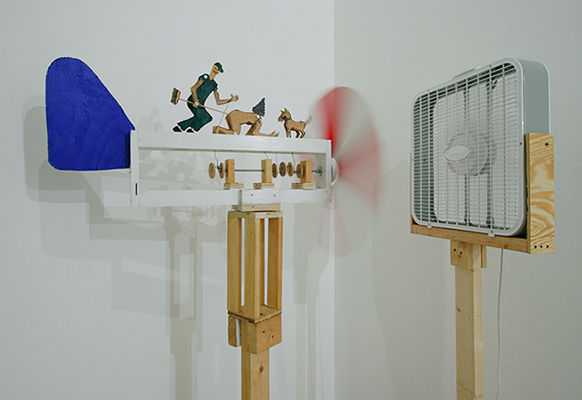 69" high x 48" x 24"
This whirligig was made while upstate New York on the Art Omi residency, and placed out on the roadside, along with another whirligig, "Holiday Weekend - Take it Out", for the 4th of July celebrations, when many decorate their front lawns with folksy items. They did get some strange looks from passing motorists. This piece makes carnivalesque use of some of the awful imagery that emerged from the Iraq prison scandal.